Consider two recent events focused on dogs: one, yesterday's 21st annual World Spay Day, a joint program of The HSUS, HSI, and Humane Society Veterinary Medical Association (HSVMA), and two, last week's 139th Westminster Kennel Club dog show at Madison Square Garden. The first is not so much a celebration of dogs, but a practical-minded effort to curb overpopulation in order to eliminate the euthanasia of healthy and treatable dogs in shelters throughout the nation. The HSUS has been working hard for the last 50 years to normalize the idea that pet owners should spay and neuter their pets to reduce the burden on shelters and to prevent the needless killing of dogs. The second, the Westminster show, is a celebration of the extraordinary beauty and discipline of dogs, but one that sends a bad message about breeding. A prancing Ms. P, a beagle, won Best in Show – the second time for a beagle within the last decade. I have a beagle mix, so I look upon that breed with special affection. I do worry, however, about the broad-gauged effects of the show, which typically prompts a surge in interest in breeding of the winning breed. My Lily was rescued from a rural Virginia shelter, and in the process of finding her, I learned that Virginia and West Virginia are full of abandoned hounds and beagles – just as southern California shelters are full of abandoned Chihuahuas. Thousands of beagles and other hounds – purebreds and mixes – get euthanized because customers choose mills and backyard breeders in favor of shelters, rescues, or responsible breeders. I wish that Westminster would not only be a celebration of dogs, but also a platform to deliver messages about responsible breeding, sterilization, and adoption. The last thing we need is more poorly bred beagles from irresponsible breeders at a time when so many dogs – fine specimens of their breed – are in life-and-death situations. On World Spay Day, thousands of veterinary and animal welfare professionals, business owners, and concerned individuals worldwide joined forces to host hundreds of events. This year, for example, the Sacramento SPCA celebrated completing a milestone 150,000 spay/neuters in seven years. And World Spay Day 2015 was celebrated in parts of the world, such as Iran, Malawi and Pakistan, where street dogs – whose numbers are increased by intact, free-roaming pets – are at a high risk of an inhumane death. 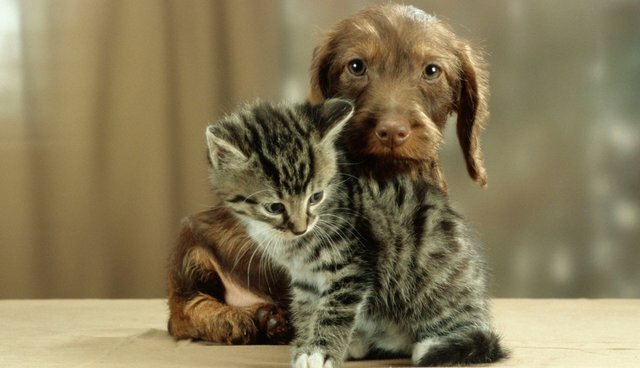 Nationwide, 87 percent of cats and dogs kept as pets are spayed or neutered. However, in underserved U.S. communities where resources are severely limited or nonexistent, as many as 90 percent of cats and dogs are unaltered. Of the 30 to 40 million community cats in the United States, only about two percent are spayed or neutered. Outside the United States, there are approximately 300 million dogs living on the streets – many born as the result of unaltered, free-roaming pets. World Spay Day draws attention to these areas of greatest need and encourages people to get involved to help solve the problem. With help from a grant from the Doris Day Animal Foundation, The HSUS's Pets for Lifeteams in Atlanta, Chicago, Philadelphia, and Los Angeles will have spayed or neutered 1,000 cats and dogs by the end of this month – 200 on World Spay Day alone. Through its unique approach, Pets for Life is raising the spay/neuter rate of pets in underserved communities to match the national average of 87 percent. This year, officials in Alabama, Connecticut, and Georgia also passed World Spay Day resolutions. The Governor of Alabama made a strong statement, making clear his position on the importance of nonprofit spay-neuter services in light of unfounded attacks on those clinics by a faction of misguided veterinarians. This fight is playing out in several state legislatures this year and The HSUS is strongly urging policy makers and all stakeholders to work toward solutions that increase access to spay/neuter services. We believe the nonprofit animal welfare field and the veterinary community should be working together to provide communities with the services they need. The HSVMA sponsored World Spay Day events involved veterinary students from Oklahoma State University, University of Wisconsin, UC Davis, and University of Illinois. These events provided sterilization surgeries for nearly 300 animals as well as hands-on training to dozens of veterinary students in a variety of tasks, ranging from surgical prep and anesthesia monitoring to assisting with surgery. And HSI continually provides spay/neuter services and rabies vaccinations for owned and street dogs in Bhutan, India, the Philippines, several islands in the Pacific, Bolivia, Chile, and Puerto Rico. At a time of crisis, these are the special events for dogs that we should celebrate the most.